Wayne is a proven entrepreneurial leader with 30 years’ experience running and scaling technology exchange businesses. Wayne is the founder of Bartercard. Wayne ran the company for 21 years which he grew to a global leader in the barter industry operating from over 120 offices with some 3,000 personnel and completing over $40 billion in trade. 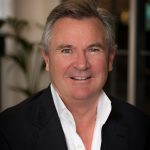 In 2007, Wayne sold his Bartercard interests and focused on the development of Global Environmental Markets (GEM) and Carbon Trade Exchange where he has invested over $10 million into the development of GEM and its platform technology. Lee has 22 years’ experience in managing exchanges and exchange technology development. 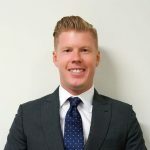 Previous Director and Executive Manager for Bartercard International for 18 years, Lee currently manages all technology and operations for Global Environmental Markets (GEM), Carbon Trade Exchange (CTX) and International Crypto Exchange (ICE). 35+ years of experience in the delivery of consulting, application development & support services to numerous Australian government and corporate clients. 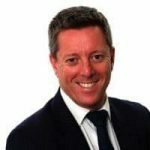 With significant growth in the dynamic IT sector, Dialog now has annual revenue of more than $181 million and is Australia’s largest privately owned information technology organisation. Offices in Brisbane, Sydney, Melbourne, Canberra, Perth, Darwin, Adelaide and Hong Kong. Established in 1979, Dialog employs over 1,200 information technology specialists. Dialog supports a ‘can do’ approach that encourages local decision-making by appropriate team members. Juliet is extremely versatile and proactive in all tasks she undertakes. 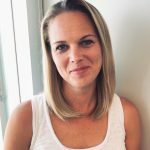 Her expertise is in User Acceptance Testing and the production and refinement of supportive materials including guides and manuals. 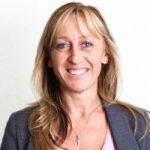 Being resourceful and thorough, Juliet is passionate about establishing, reviewing and improving the systems and procedures for the effective management of International Crypto Exchange (ICE). 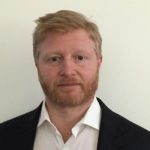 In 2017, Simon launched North Block Capital an investment bank for the digital token capital markets that delivers advisory, capital markets, and asset management services.Simon is also a founding member of Blockchain Fund Global Alliance (BFGA). Previously founded and built numerous successful businesses including Stocknet.co.uk 1998, Freequotes.co.uk in 1999, then TMN Plc; One of the first online direct marketing companies, AIM listed in 2000 with capitalisation over £100M. has an extensive background as an Executive & Non executive Director in multiple sectors such as banking and financial services; biotech, infrastructure and utility services; retail and wholesale services including Chairman Management Consultancy International Pty Ltd (2014+), Chairman of Audit & Risk Committee (2015+) Director Online Education Services Pty Ltd and Representative in Australia for the Bank of Cyprus Public Company Limited. Also Adjunct Professor of Business Law.